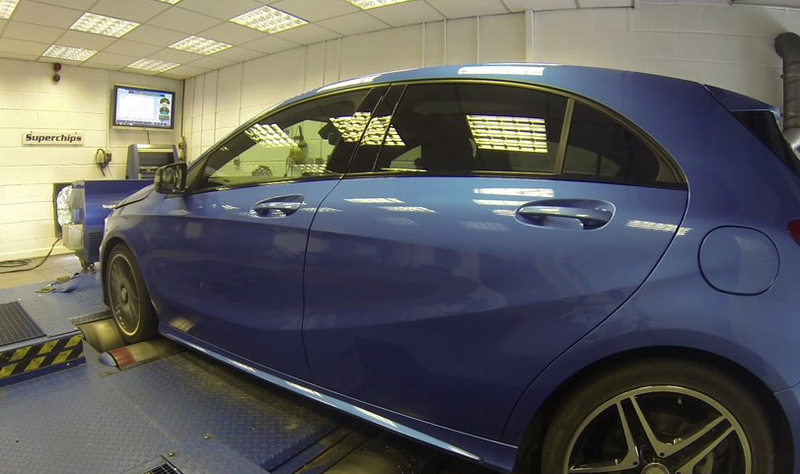 Global engine ECU remap specialist Superchips has released a conversion for models from the Mercedes range using the 220 CDI twin turbocharged diesel engine. Models in the A, B, CLA and GLA-Class ranges can all benefit from the conversion, which adds 28bhp to the engine’s original power output at 4408rpm and a significant 63Nm torque at 2468rpm, increasing the driveability enormously and providing far more relaxed cruising. Both the power and torque curves follow the shape of the originals perfectly but help to eliminate a slight dip in the factory delivery. In addition to the improved performance, drivers can also expect a potential gain in fuel economy of up to 7% when compared with a like-for-like driving style. The cost of the Mercedes 220CDI remap is £365 including VAT and labour. The conversion is covered by Superchips’ 12-month/30,000-mile warranty*. Global ECU remap leader Superchips has introduced a conversion for the Audi S4 and S5 using the supercharged 3.0-litre petrol TFSi engine. Drawing on its experience of electronically increasing engine performance, Superchips has released additional power and torque from the engine for a more rewarding driving experience. 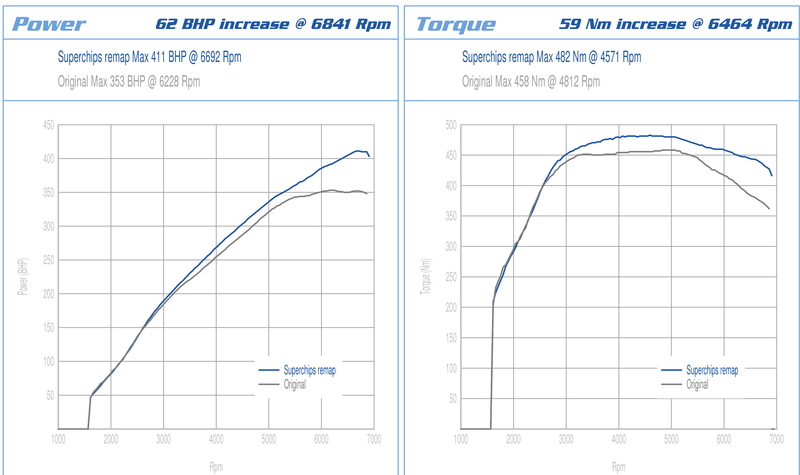 The S4 and S5 leave the factory with a healthy 333PS but the Superchips conversion increases this figure by 62bhp at 6841rpm while torque, already very good thanks to the V6 engine and engine-driven supercharger, also increases, this time by 59Nm at 6464rpm. In addition, gains are seen throughout the engine’s speed range meaning that not only are the S4 and S5 more driveable at low speeds but when the drivers wishes to press on, such as on a track day, the engine is more responsive and helps the car to accelerate better. In addition, the self-imposed electronic speed limiter can also be removed when the conversion is fitted, for motorsport and track use only. The conversion is carried out by one of Superchips nationwide dealer network and typically takes around an hour. Customers can either wait at the dealer or drop off their car and return later to collect. The cost of the Audi S4 and S5 3.0 TFSi remap is £365 including VAT and labour. The conversion is covered by Superchips’ 12-month/30,000-mile warranty*. Global ECU remap specialist Superchips recently announced a series of remaps for the Volkswagen Golf 7 range. 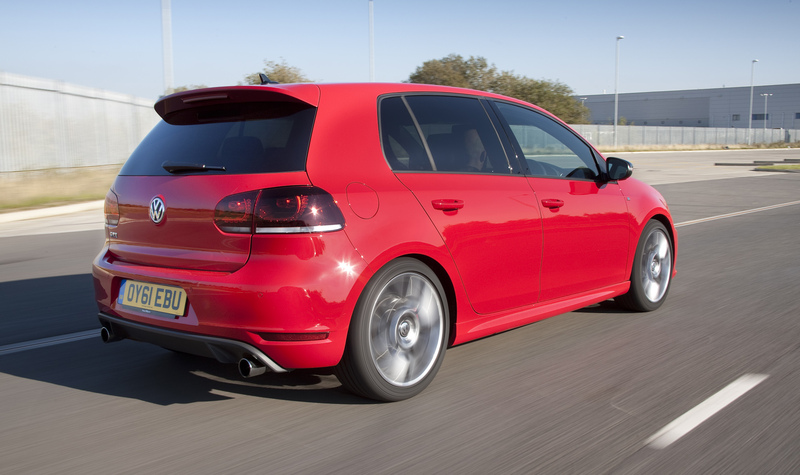 In particular, the 220PS version of the Golf 7 GTI saw gains of 30bhp and 51Nm of torque from the turbocharged petrol engine. However, the Superchips engineers have revisited the GTI and have announced two further conversions for this application. The actual increases in power and torque for Stage 1 are now 59bhp at 5657rpm and 97Nm torque at 3742rpm. In addition, the shape of the power and torque curves flattens out a notable dip in the original engine’s delivery, improving performance and driveability hugely. The company has also developed a Stage 2 conversion, for cars which feature additional mechanical modifications, such as high flow air filters, performance exhausts and high flow catalytic converters. In this case, the gains are 78bhp at 5831rpm and 115Nm at 3089, again flattening the drop in the original curves. Stage 2 can also include the removal of the speed limiter for motorsport use and an increase of the rev limit to 7150rpm on manual transmission cars. The company has also developed a new conversion for the Golf 7 1.6TDi, increasing power by 41bhp at 3476rpm and torque, 84Nm at 3328rpm. On the turbodiesel engine, owners can also expect to see improvements in fuel efficiency of up to 7% when compared in a like-for-like manner. The conversions are carried out by one of Superchips nationwide dealer network and typically take around an hour. Customers can either wait at the dealer or drop off their car and return later to collect. The cost of each remap is £365 including VAT and labour while the speed limit and rev limit adjustments cost £50 inclusive. The conversions are covered by Superchips’ 12-month/30,000-mile warranty*.